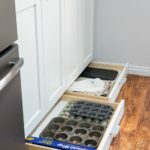 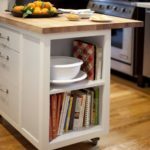 With all the holiday celebrations planned and holiday guests visiting, this time of year can have your kitchen bursting at its seams, and it is now that we really appreciate the value of a practical, well functioning kitchen that makes clever use of every bit of available space for storage. 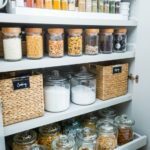 If you are building or renovating your kitchen it is important to carefully consider storage requirements when deciding on layout and choosing cabinetry. 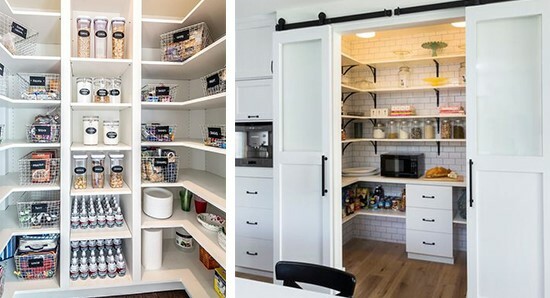 Many of your choices will be determined by the amount of floor space you have; large kitchens can easily accommodate walk-in pantries, or a more well-equipped butler’s pantry with its own wash-up area and appliances. 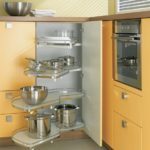 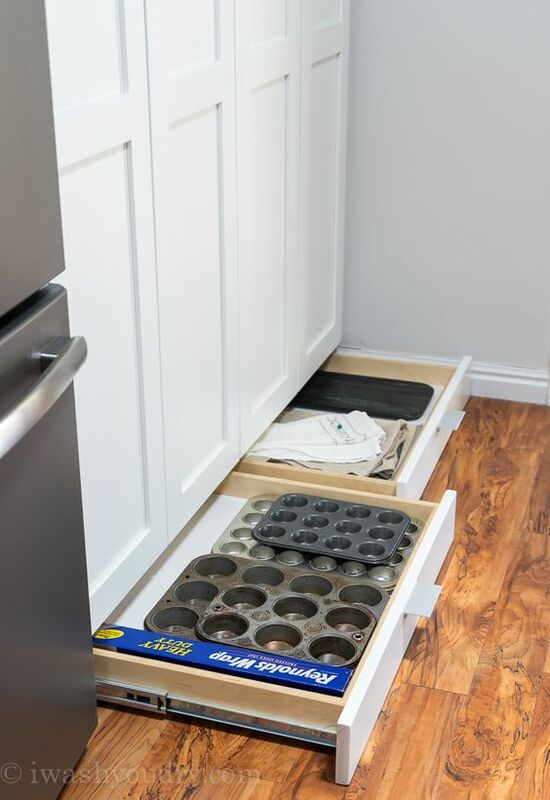 However, smaller kitchens may need to opt for pull-out pantry cupboards or slide-out shelves for grocery storage. 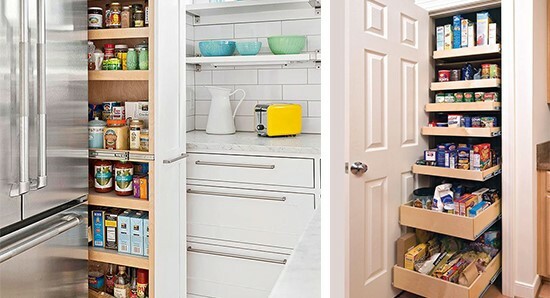 Top to toe: Use your all your vertical space, install cabinetry all the way to the ceiling, and store lessor utilised appliances and kitchenware in the top cupboard, and utilise your toe-kick for storage. 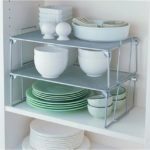 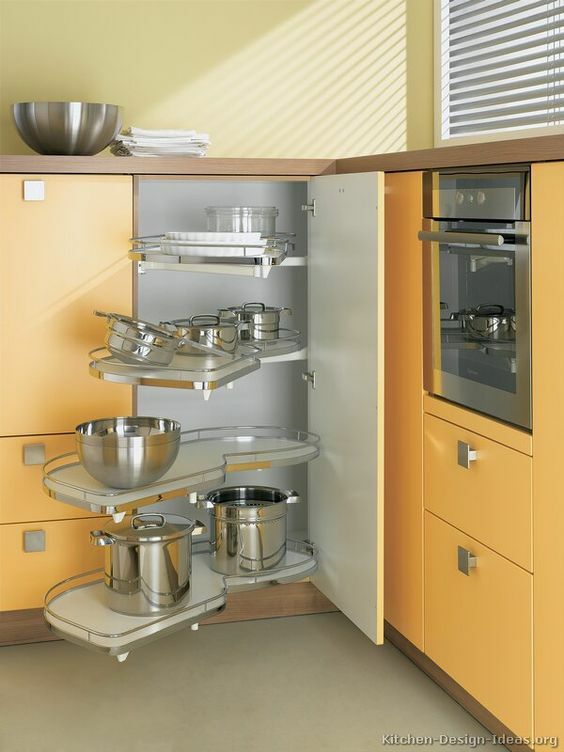 Don’t get cornered: Get smart with your awkward corner cupboards by installing swing-out shelves or a Lazy-Susan. 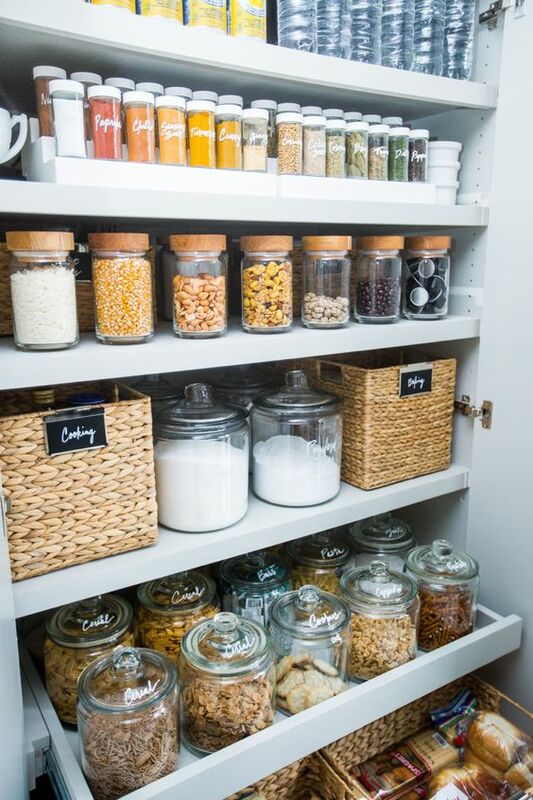 Get organised: Use draw dividers or draw organisers to ensure you can find what you need when you need it. 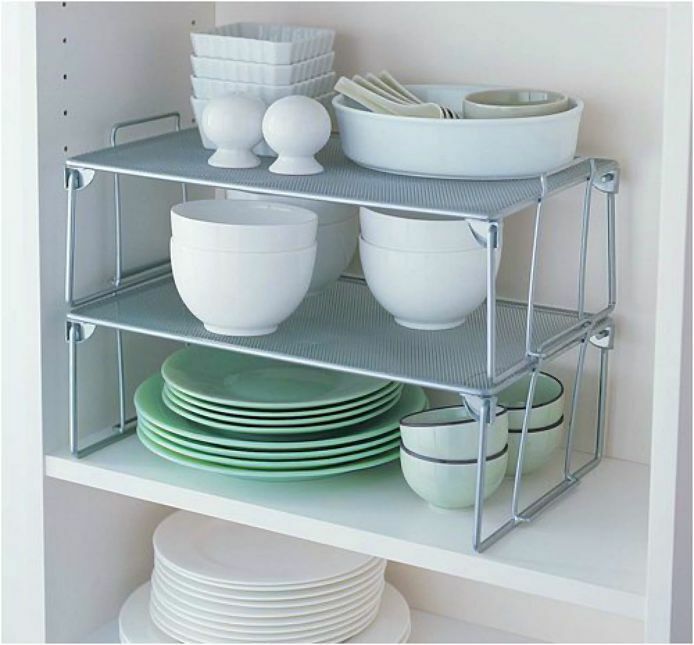 Break up vertical space in shelves with stack shelves so you don’t have to unpack everything to get what’s sitting at the bottom of the pile. 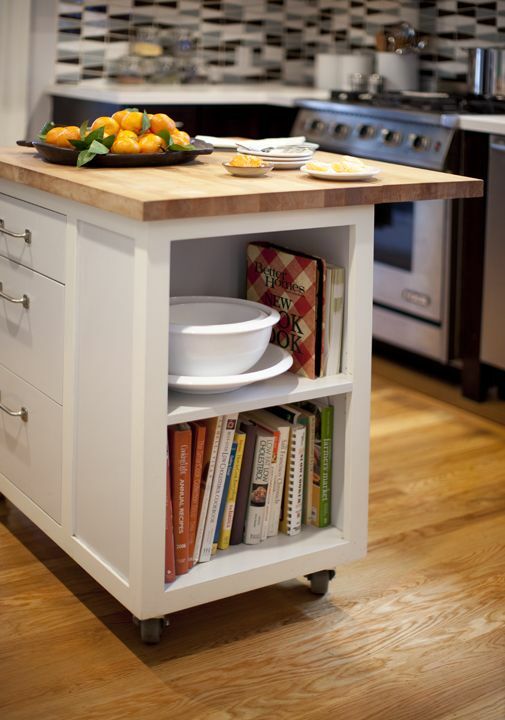 Island style: Make the most of all sides of your island for storage; be it shelves, cupboards or draws. 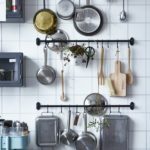 Hang about: Get utensils and kitchenware off the counters and out the cabinets and on the walls. 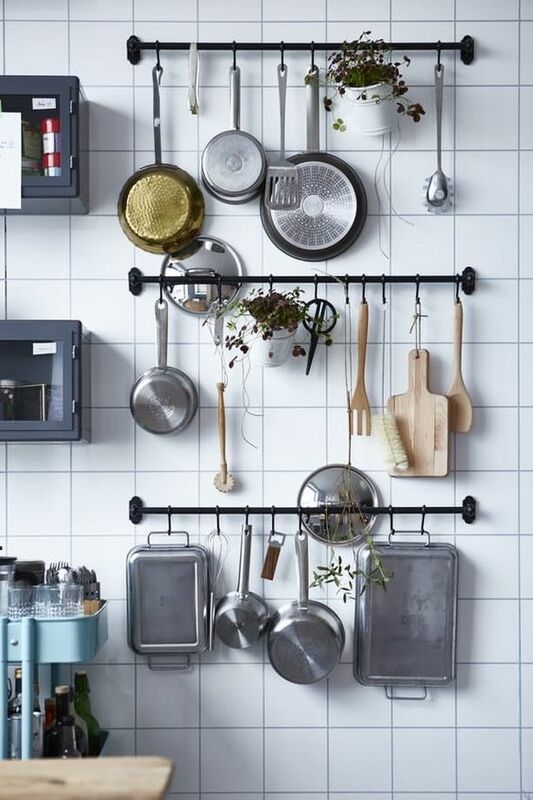 Creatively arranged this can also become an interesting décor feature.